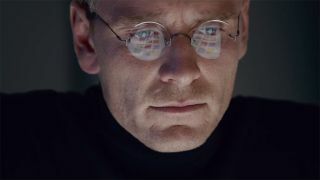 Though opinions tend to vary quite drastically on Steve Jobs the man, it seems that everyone’s in agreement about Steve Jobs the movie, which has garnered a rapturous response from critics out of its world premiere at the Telluride Film Festival this past weekend. Ellwood also celebrates the film’s “universally brilliant supporting cast”, particularly Kate Winslet as original Macintosh team member, Joanna Hoffman, who is receiving plenty of Oscar-buzz out of the festival. Critical praise is one thing, but when Apple co-founder and lifelong friend of Steve Jobs’ Steve Wozniak applauds the film, you know it’s good. This is encouraging to hear, as Wozniak was originally dubious about the film’s apparent inaccuracies based on its theatrical trailer, stating that he didn’t see himself in Seth Rogen, who portrays Wozniak in the film.